In many ways, the work of a critic is easy. We risk very little, yet enjoy a position over those who offer up their work and their selves to our judgment. We thrive on negative criticism, which is fun to write and to read. But the bitter truth we critics must face is that in the grand scheme of things, the average piece of junk is probably more meaningful than our criticism designating it so. But there are times when a critic truly risks something, and that is in the discovery and defense of the new. The world is often unkind to new talent, new creations. The new needs friends. . . . Not everyone can become a great artist, but a great artist can come from anywhere. Those words, spoken by the mordant food critic Anton Ego, a character in Pixar’s lovely film Ratatouille, crossed my mind as I sat down to listen to Clones Audio’s 25iR integrated amplifier ($1295 USD). This attractive if unassuming little black box is handbuilt by a gentleman from Hong Kong named Funjoe. 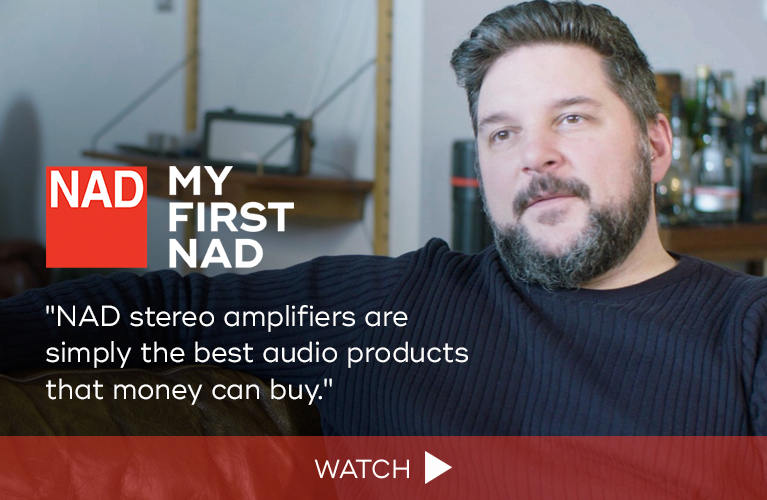 As in so many other hi-fi success stories, Funjoe was a DIYer who, at the end of 2012, began building his own electronics in his spare time, before customer demand turned Clones into a full-time endeavor. I don’t often review products made by small audio shops, let alone a one-man operation like Funjoe’s, and I confess to the prejudice implicit in my rhetorical question: How well can some guy’s home-brew creations fare against the offerings of companies that have been producing high-quality gear for decades, and who benefit from proper R&D budgets? Clones certainly looks the part. They offer a range of electronics, including monoblock power amps, a preamp, a digital-to-analog converter, and a music server. 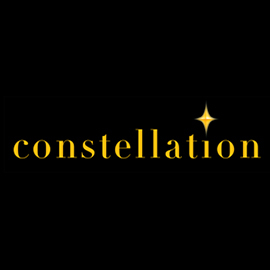 Their website is clean and modern, with nice photographs of their products -- a practice many industry stalwarts would do well to emulate. The petite 25iR arrived in nondescript packaging protected by a hodgepodge of foam and cardboard. There was no instruction manual or paperwork of any kind -- only the 25iR, its power cord, and a reasonable-looking plastic handset that makes possible remote control of volume and source selection. A user manual for the 25iR can be found on the company’s website. The 25iR is a classy design. Its black case, measuring 6.7”W x 3.9”H x 7.1”D and weighing 13.2 pounds, is made not of a single sheet of folded steel but of six plates of anodized aluminum held together by small, recessed bolts. The faceplate is decidedly thicker than the rest. In terms of materials and build quality, the 25iR looks and feels nicer than my reference DAC-integrated, a Hegel Music Systems H360 ($5700), and almost as nice as T+A Elektroakustik’s PA 2000 R ($8500), which I recently reviewed on our sister site SoundStage! Hi-Fi. On the 25iR’s front panel are a small LED screen to display volume and input info, a volume knob that doubles as source-selection button, and that’s it. Out back are the same high-quality, five-way binding posts that appear on my Hegel integrated, an IEC power inlet, a master power switch, and three pairs of single-ended input jacks (RCA). The front panel’s display remains illuminated even when the master power switch is turned off; in other words, the LEDs glow red as long as the amp is plugged into the wall. No matter -- the characters aren’t too bright. Combined with the fact that the remote control has several nonfunctioning buttons, yet can only adjust volume and input selection, it’s fair to say that this little amp from Hong Kong hasn’t totally shed its DIY roots. The inside of the 25iR, as revealed in the photos, is Spartan. There’s a small toroidal transformer dedicated to the power amplifier section, a second toroid dedicated to the Texas Instruments PGA2311 volume control, and a few small printed circuit boards soldered directly to two of TI’s tiny LM3875 chips, a class-AB op-amp that produces 25Wpc into 8 ohms or 50Wpc into 4 ohms. (TI specifies that the LM3875 chip can output 56W into 8 ohms and 100W on peaks; it’s possible that Funjoe has undersold the capabilities of his modest little box.) Again, Clones Audio’s DIY roots shine through: the 25iR is a descendent of the gainclone amps that hobbyists have gravitated toward over the past 15 years. Indeed, the 25iR is an unabashed “clone” of the well-regarded Gaincard amplifier from Japanese manufacturer 47 Laboratory. Funjoe’s interpretation of this design includes the use of four naked capacitors, which he believes sound better without their vinyl covering. The only other specs listed on Clones’s website are an input impedance of 10k ohms and 30dB of gain. Funjoe also offers the 25iRH ($1750), which outputs 50Wpc into 8 ohms and offers 3dB more headroom. I partnered the Clones 25iR with a Benchmark DAC2 DX digital-to-analog converter that I have on short-term loan, linking them with Dynamique Audio Shadow interconnects (RCA). I primarily partnered the 25iR with my reference speakers, Monitor Audio’s Silver 10 floorstanders, but also tried it with my considerably less efficient KEF LS50 and Dynaudio Emit M10 bookshelf speakers. Speaker cables were DH Labs Q-10 Signature. I plugged the 25iR into an Emotiva CMX-2 power conditioner, which I use to eliminate a powerline hum in my older city home. I funnel my own music collection and Tidal HiFi (i.e., lossless streaming of 16-bit/44.1kHz files) through my 2009 MacBook Pro running Roon, and this time wired that into the Benchmark DAC2 DX via a DH Labs Silversonic USB link. Finally, I compared the 25iR to Exogal’s Comet DAC and Ion PowerDAC, as well as to my Hegel H360 DAC-integrated and Rogue Audio’s Sphinx hybrid (tubes and solid-state) integrated, which I reviewed several years ago. One of the many perks of being a prolific reviewer is hearing various design philosophies in action. From passive to active to DSP-managed speakers, to all manner of tubed and/or solid-state amplifiers, I never tire of putting myself at the mercy of whatever component is in for review. Sometimes, a product genuinely surprises me. The Clones 25iR entered my system hot on the heels of Exogal’s two-box Comet DAC/Ion PowerDAC ($6850), which produces 125Wpc -- five times the output of the little 25iR -- and dispenses with the need for an analog line stage. I’d gotten used to the Exogal’s smooth sound, which I thought was quite good -- certainly competitive with the sound of my Hegel H360, and maybe better. Swapping out almost $7000 worth of electronics for the Clones-Benchmark combo, which totals just under $3100 (the DAC2 DX costs $1895) “should” have yielded a dramatic reduction in sound quality, but the 25iR didn’t cooperate. I was genuinely confused by the quality of sound I was hearing: cognitive dissonance at its stubborn best. The 25iR’s magic was its midrange: clean, transparent, and, more than anything I’ve recently heard, it seriously popped. The kick drum and tambourines that open “Sleep on the Floor,” the first single from the Lumineers’ Cleopatra (16/44.1 FLAC, Dine Alone), were shockingly incisive. Like fireworks in the night, they briefly illumined the boundaries of what sounds like a good-size recording studio, with rapid decays of transients and fine control of small details. In similarly startling fashion, the voice of lead singer Wesley Schultz then entered, emerging with unusual precision from between my big Monitor Silver 10s. The clearly defined space between Schultz and the instruments behind him, the finely delineated contours of each sound, the extended treble response contributing to a healthy depth of soundstage -- all coalesced into a deeply impressive whole. 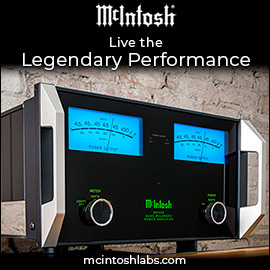 A $1295 integrated amp should not sound this compelling, even when paired with $2500 loudspeakers and an $1895 DAC. Far more important than the 25iR’s noncombustible nature was that its sound remained fairly coherent at such high volumes. At the very limit, however, the sound began to compress at both ends of the audioband. The organ began to sound lightweight and soft, with less depth, and the brass quickly teetered toward a brasher, glassier sound. As with any audio product, there were limits. Torture tests aside, the 25iR made short work of the grand piano that also wafts through the “Organ Symphony,” in the left channel in this recording. The pianist’s hands, flitting about the high end of the keyboard, presented a display of sparkling dexterity that highlighted the instrument’s hollow, airy sound. But while the 25iR was broadly neutral, it wasn’t exactly polite -- the piano sounded slightly forward, slightly hard. In my case, the 25iR played to its audience: I love an amp that provides wide dynamic contrasts, whip-smart sonic contouring, and ultraclean sound. There wasn’t much in the way of tonal coloration or warmth through the Clones integrated. Through the mids, it focused on resolving finer detail and strong imaging. Part of that had to do with the fact that the 25iR was surprisingly quiet, with a noise floor lower than or equal to that of many of the higher-priced integrateds I’ve reviewed. Take “The Other Side,” from David Gray’s A New Day at Midnight (16/44.1 ALAC, EastWest). As he sang his despondent, heavy-hearted opening lines, his voice stood out beautifully on the soundstage, accompanied only by a piano moored behind him. The imaging of sounds in this track was excellent -- and not just for the price -- with strong definition, and only negligible spatial ambiguity. The transparency was startling: Gray’s sharp intakes of breath, the prominent sibilants of his close-miked voice, his speed of delivery -- all were remarkably concise. The low-frequency synthesizer that enters late in “The Other Side” wasn’t quite as composed, sounding lighter than I’m used to, with abbreviated impact. 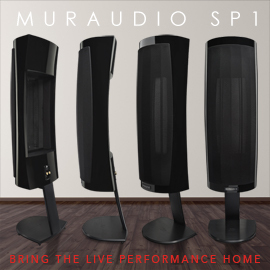 Still, for $1200, the 25iR’s reproduction of the midrange was remarkable. Swapping out the Clones 25iR for my almost-five-times-as-expensive Hegel H360 integrated ($5700), while keeping the Benchmark DAC in circuit, resulted in a sound that was broadly similar. The Hegel was only minimally more resolving of fine midrange detail -- a shocking admission on my part -- but lengthened its lead in other respects. Sonic edges sounded more natural and organic, making the Clones amp sound artificial and “digital” by comparison. The Benchmark-Hegel’s upper midrange was not overemphasized in any way, which made the piano in David Gray’s “The Other Side” sound fuller and less ringing, and the bass synth notably more robust. 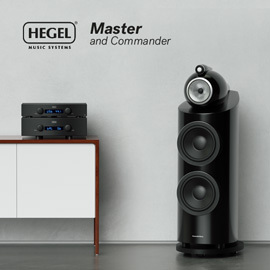 It should come as no surprise that the Hegel, with its power outputs of 250 or 420Wpc into 8 or 4 ohms, was able to play any sort of music at extremely high volumes without sounding flummoxed. Up to moderate volume levels, however, with music that had little in the way of bass, the differences between the Hegel and the Clones were smaller than I’d imagined. A more useful comparison was with Rogue Audio’s Sphinx integrated amplifier ($1295, add $100 for remote control), whose tubed line stage and dual class-D Hypex amplifiers put out 100Wpc into 8 ohms. While the Clones’s homebrew qualities are inside, the Rogue’s are visible its exterior: in its fit and finish, its old-school knobs, and the more workmanlike feel of its knobs and dials. The Clones looks and feels more polished. The Sphinx sounded similar to the 25iR, with a clean, immediate, midrange-centric sound. Both amplifiers shone when fed good recordings of singer-songwriters. Each presented the upper midrange in a forward manner, though the Sphinx’s lower treble leans toward the edgy; the 25iR’s trebles did not. The Sphinx’s noise floor is notably higher -- with no music playing, I could hear its self-noise through my speakers from several feet away. Finally, the Sphinx’s bass response was mildly more hearty than the 25iR’s, and capable of greater slam. For smaller, more modern rooms, I’d opt for the Clones 25iR every time -- but in larger, dedicated listening spaces, where greater power and bass response would be welcome, and where its higher noise floor would be less of a problem, I might be tempted by the Rogue Sphinx. Handmade in Hong Kong to a quality of build that wouldn’t look out of place at three times its humble price of $1295, Clones Audio’s little 25iR integrated amp is attractive. 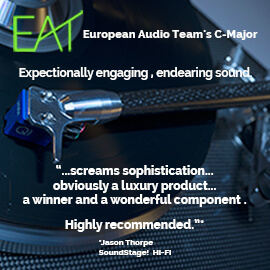 It might not boast the most sophisticated circuit design, but that hardly matters when so much good sound can be had for so little. 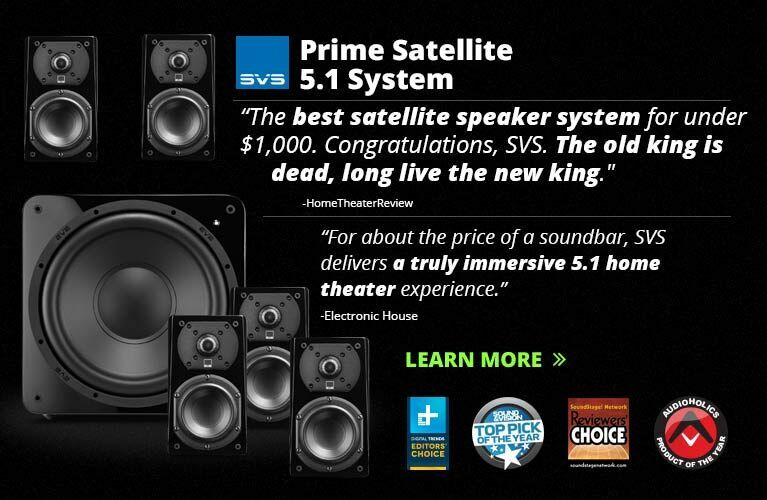 With an ultraclear midrange, linear treble response, and an uncommonly low noise floor, it sounded delightful. Its 25Wpc also proved powerful enough to satisfy all but my loudest listening needs, provided I partnered it with speakers of at least moderate sensitivity. While the 25iR didn’t provide the most impactful bass, I’m confident that it could serve as the highly competent anchor of any small hi-fi system. Color me impressed. I have little doubt that Clones Audio’s creations will find -- and deserve -- many friends.